Designed especially for infants and toddlers from 9 months to 3 years, BrainFit® Baby aims to build critical brain fitness and intelligence foundations in a young child. Parents and carers will also learn how to optimize home environments, interact and play with their child to support this critical development. BrainFit® Baby trains our children’s brains by stimulating 5 key areas of cognitive processing and the are – sensory-motor, visual, auditory, focus-memory and EQ, through the SMART Play® Methodology. SMART Play® utilizes a guided-play approach involving 8 areas of play. The goal of BrainFit® Baby is to build solid cognitive skills in our babies and toddlers using a science-based guided-play approach that also facilitates a fun experience, emotional development and bonding for parent and child. Your baby will gain a learning advantage through this brain-based programme that stimulates holistic development of critical mental “muscles”. In each 50-minute session, children (and carers) participate in gross and fine motor activities to build sensory-motor mental fitness. 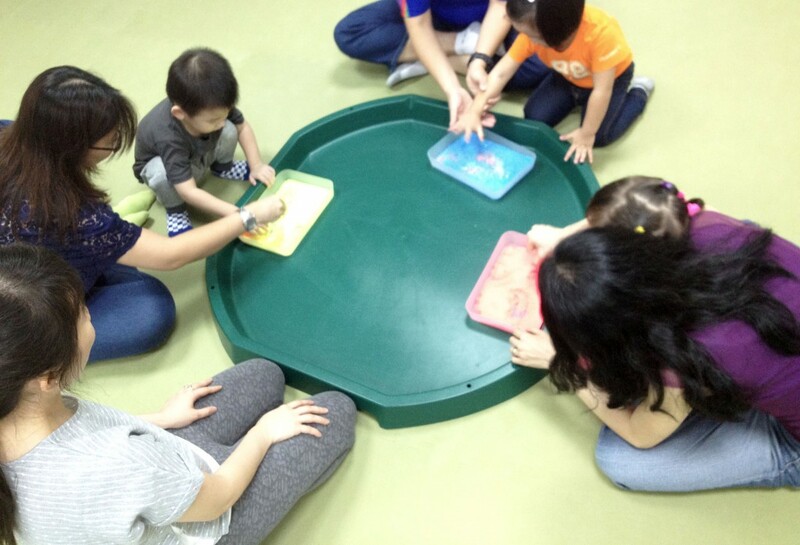 Visualization activities will help to sharpen visual and spatial intelligence. Structured listening and language stimulation will be used to enhance receptive and expressive language development. Memory and recall activities will help to strengthen memory and focus. Lastly and just as important, pretend play and emotional vocabulary will lay the foundation for social-emotional intelligence. Build a language advantage in your baby through a structured phonetic approach. Influence later success in Math learning through building spatial-temporal reasoning in your baby! Nurture security, resilience to stress and the capacity to form positive close relationships later in life. Most importantly, enjoy this once-in-a-lifetime journey with your precious little one!